Ando, Harada and Shiina listen as Kiki declares she just "tagged along with the director" for the event. 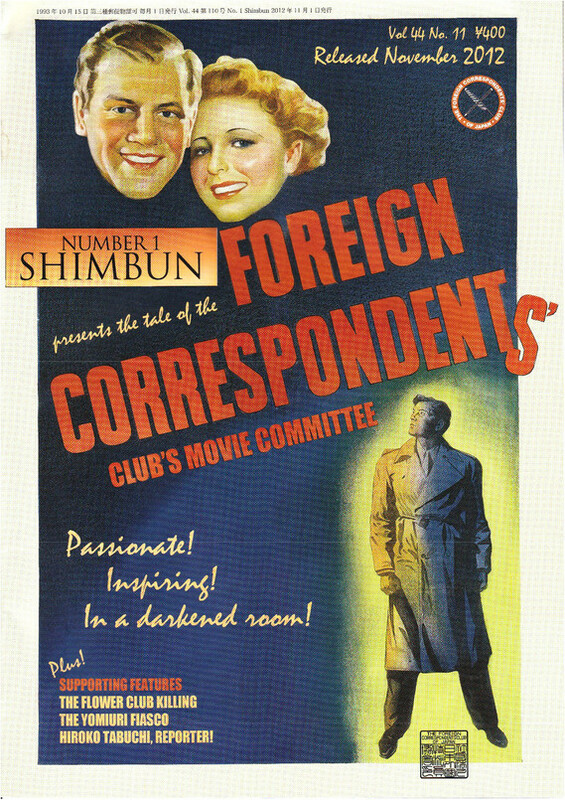 Anyone who has attended FCCJ’s screenings over the past eight years knows that our emphasis has been on introducing Japanese films and filmmakers to foreign audiences through the Tokyo-based journalists, critics, festival programmers and cinephiles who join us for our events. We were thus extremely gratified to hear that the 28th Tokyo International Film Festival (TIFF), running from October 22 - 31 in Roppongi and Shinjuku, would debut not one, but two new sections devoted to Japanese film: Japan Now and Japanese Classics. Perhaps most exciting of all, TIFF announced that it had selected Masato Harada as its inaugural Director in Focus, and unveiled what amounts to the first mini-retrospective of his work. Over a 30-year career, Harada has created a range of compelling films that are both social criticisms and world-class entertainments, and he is one of a small handful of Japanese who are comfortable directing overseas, as well. Ando and Harada share a laugh; Harada listens to Kiki describe his skill. The Film Committee has had the honor of screening three of Harada’s recent films, and we were thrilled to be able to bring his early summer blockbuster, Kakekomi, to the club for an English-subbed encore. Before the screening, we welcomed TIFF Director General Yasushi Shiina, TIFF Programming Advisor Kohei Ando, Harada and legendary actress Kirin Kiki — who won the Japan Academy Award for her titular role in Harada’s 2012 Chronicle of My Mother and also stars in Kakekomi — to discuss the festival’s new emphasis on local cinema. Harada and Kiki have collaborated on only two films; here's hoping they double that number. Later in the evening, following the screening of Kakekomi, Harada’s first-ever jidaigeki period piece, the director and his star appeared for a Q&A session that was one of the most relaxed and intimate we have ever hosted. Speaking in English throughout (except when making remarks directly to Kiki), Harada fielded questions on a range of subjects, beginning with the reception of his films overseas. He noted that audiences in Canada and Malaysia had laughed wildly over Kakekomi’s honey enema scene, and applauded when one of the antagonists is killed, a real difference from the more reserved Japanese audiences. He then revealed that he thinks not only about how his films will be received internationally while he’s directing them, but that he even considers how certain lines of dialogue will play in the subtitles. For Kakekomi, he changed character names from the original source novel so they would be more easily rendered in the subtitles. Harada’s 23 films over the past 30 years have addressed a wide range of subjects — what he terms “Hawksian relationship dramas” in an “old-school style”— that are perhaps not as embraceable by younger generations as the more gonzo style of Japanese genre directors who have found overseas followings. But his work is ripe for rediscovery.